Those people, speaking anonymously so as not to damage their careers, confirmed that Fallout 76 is an experimental new entry in the longrunning post-apocalyptic series. When Bethesda first teased the game on Tuesday morning, fans and pundits speculated that it might be a Fallout 3 remaster or a New Vegas-style spinoff in a new location, but as Kotaku reported that afternoon, it is in fact something completely new and completely different. The teaser might lead Fallout fans to believe that this is a traditional entry in the series, but according to our sources, that’s not the case. 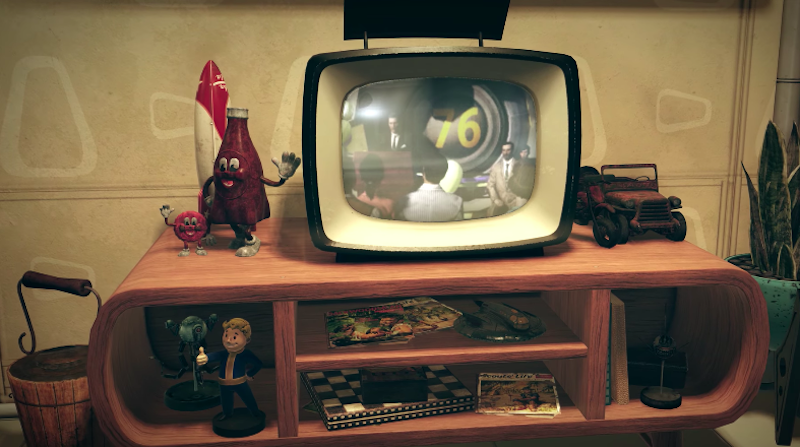 Fallout 76 is in development not just at Bethesda Game Studios’ main office, in Maryland, where the likes of Skyrim and Fallout 4 were made, but also at the company’s newest branch, in Austin, according to our sources. That Austin studio, formerly known as BattleCry Studios, had been working on an online hero combat game called BattleCry before that game was canceled. “We have concerns about the BattleCry game and whether it is meeting the objectives we have for it,” Bethesda told press in the fall of 2015. “We are evaluating what improvements the game needs to meet our quality standards. The studio remains busy during this process on multiple projects.” In March, Bethesda announced that BattleCry Studios had become part of Bethesda Game Studios. Bethesda did not respond to a request for comment. We’ll see more of Fallout 76 at the publisher’s E3 press conference on June 10.